Last night we finished hand sewing the birds using black stitching around them. 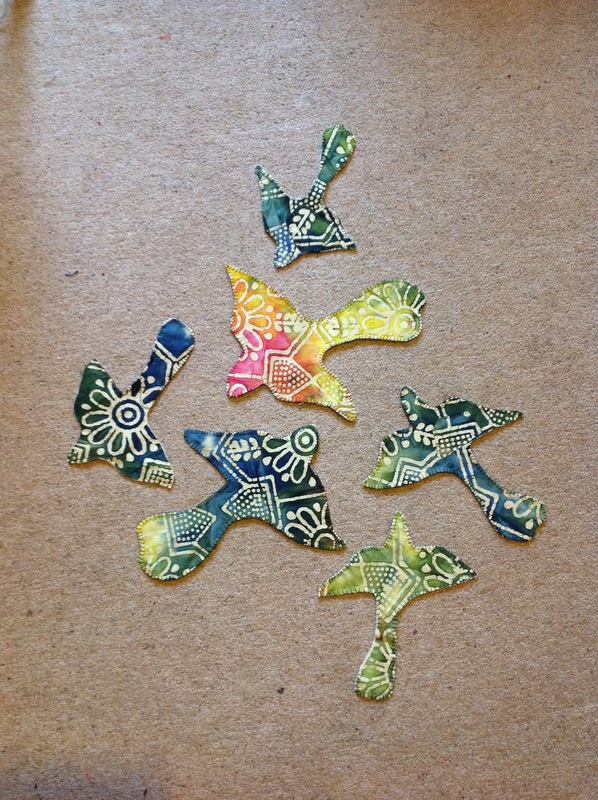 The green bits of the Batik fabric seemed to work best in the colour scheme. We used a woollen blanket from an Op shop as the backing fabric. This will give the birds a slightly raised look on the canvas. If we decide to glue them down rather than sew them onto the canvas, the thick backing will mean that th textures in the painted surface won’t show through the fabric. Since time is a factor, we will probably opt for glueing. Today we intend to fine tune the canvas. Next is bringing it all together.